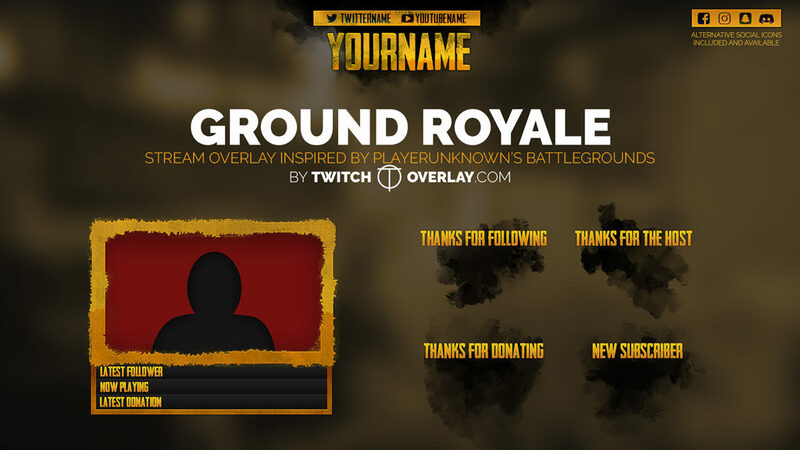 Ground Royale is a free PUBG overlay inspired by the game’s art and style. Since going live, Playerunknown’s Battlegrounds has pretty much hit the ground running. Since so many of you are enjoying/streaming the game, I figured I’d do something in its honour. Look the part while you shotgun numerous fools in the mouth with this edgy, raw-looking colledction of overlay graphics. Some gold graphics that match Ground Royale in tone and colour include Gold Leaf Profile Graphics, and Razor Gold Profile Graphics.